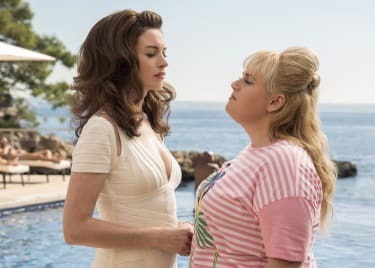 Anne Hathaway and Rebel Wilson are teaming up for The Hustle, a remake of the 1980’s classic Dirty Rotten Scoundrels. The film, itself a remake of 1964’s Bedtime Stories with Marlon Brando and David Niven, starred Steve Martin and Michael Caine as two vastly different con men who compete to swindle $50,000 out of a wealthy socialite, played by the late Glenne Headly. The Hustle follows a similar premise as those two predecessors. Hathaway and Wilson play a pair of talented con artists locked in a twisted competition to see who can steal money from a young billionaire played by Alex Sharp. Here’s the story of the new project’s evolution. An interesting backstory is attached to the film’s title. When first announced in 2016 as a vehicle for Rebel Wilson, the project’s title was a mystery. The title was eventually revealed to be Nasty Women, a reference to an insult directed at Hilary Clinton by Donald Trump during the 2016 presidential debate. The project didn’t hold that title for long, however. 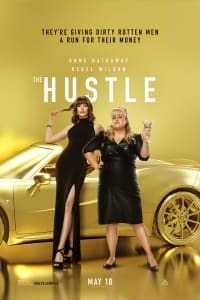 In early 2018 the film was rebranded as The Hustle. Unlike the large majority of remakes released in recent years, The Hustle doesn’t share the same title as the film it’s based on. While that’s not necessarily cause for speculation, the distinctive new title could be a sign pointing to the fact that director Chris Addison is exploring a unique take on the popular Dirty Rotten Scoundrels concept. Remaking a classic like Dirty Rotten Scoundrels isn’t an easy endeavor. As we’ve seen time and time again, remakes often fall into the trap of being too faithful to its source material, to the point where they end up lacking an identity of their own. Going by The Hustle‘s title and cast, the film seems to be avoiding that risk by exploring its own unique direction. For all intents and purposes, The Hustle is a remake. It functions, after all, within the same structure established by Bedtime Stories and Dirty Rotten Scoundrels, both through its premise and its distinctively chaotic character dynamics. Yet The Hustle has two important aspects that could set it apart from Dirty Rotten Scoundrels and allow it to add something new to the table: its cast, and the story they tell. Audiences have seen the plot of Dirty Rotten Scoundrels twice before in a relatively similar fashion. The Hustle, meanwhile, offers an opportunity to put a new spin on the premise by telling it through a female perspective. We saw what the world is like for male swindlers targeting female marks. The Hustle explores what that environment is like for female con artists, which could offer storytelling opportunities that went unexplored by predecessors. 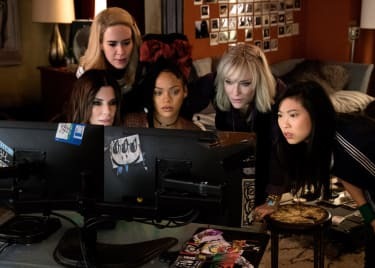 Gary Ross took a similar approach with Ocean’s 8, updating the central premise of Ocean’s 11 with a fresh cast and the perspective of women pulling off a heist at the Met Gala. The film offered a new point of view on a familiar, decade-long franchise, and easily claimed the top box office spot in its recent opening weekend. The Hustle doesn’t seem to be the beginning chapter of a new cinematic saga; as far as we know it’s a standalone film. However, the film does offer the opportunity to experience a familiar story structure through a fresh set of eyes. And given the end of Dirty Rotten Scoundrels, it makes total sense to follow a pair of women who are cunning and/or brash swindlers. The Hustle has a lot of potential. Its premise is fun and compelling and the combo of Anne Hathaway and Rebel Wilson unique comedic sensibilities promises great things for the film. We could be looking at another classic in the making. The Hustle will arrive in theaters on May 10, 2019.